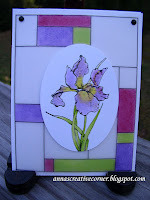 The new stained glass stamps from Stacy are very versatile. 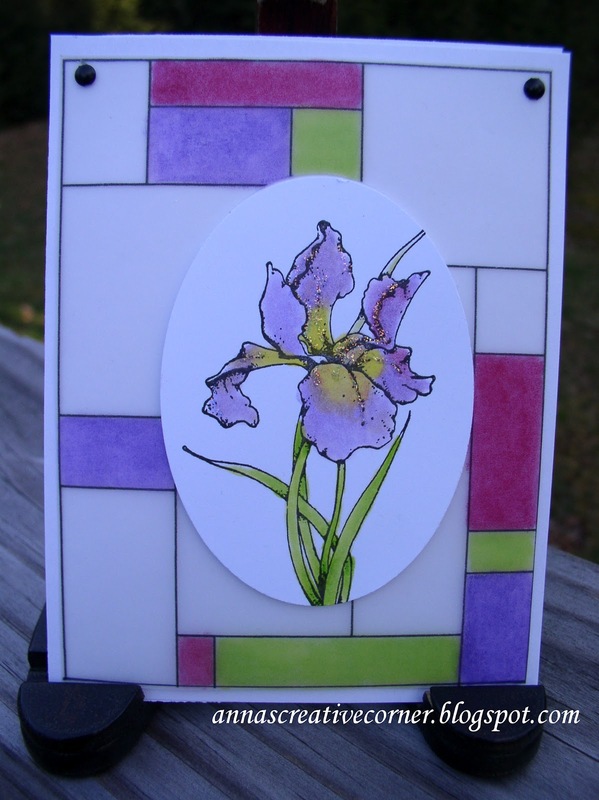 Here are two samples using the stained glass stamps the traditional way. 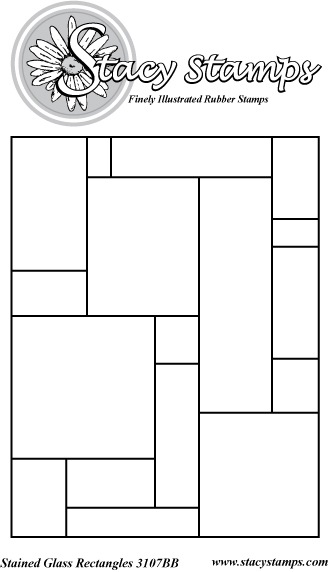 In this third sample, you can stamp different images in the rectangle "windows", as well as cut open some of them and even stamp something inside! Lastly, I tried my hand at Zentangle. 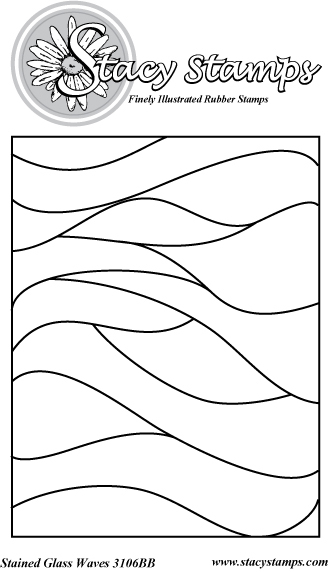 I first tried a few patterns on scrap card stock. I have to say this is my first attempt at Zentangle and I found it is very easy, fun and relaxing. They say it is like organized doodling. I find it just as relaxing as coloring and was surprised how addictive it is. I then just layered the completed design on black card stock and added my initial with a Just Rite monogram stamp layered on a scalloped circle. 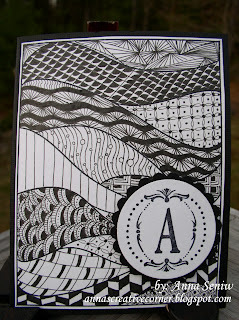 Zentangle is great when you are traveling and want to take something to create with you. 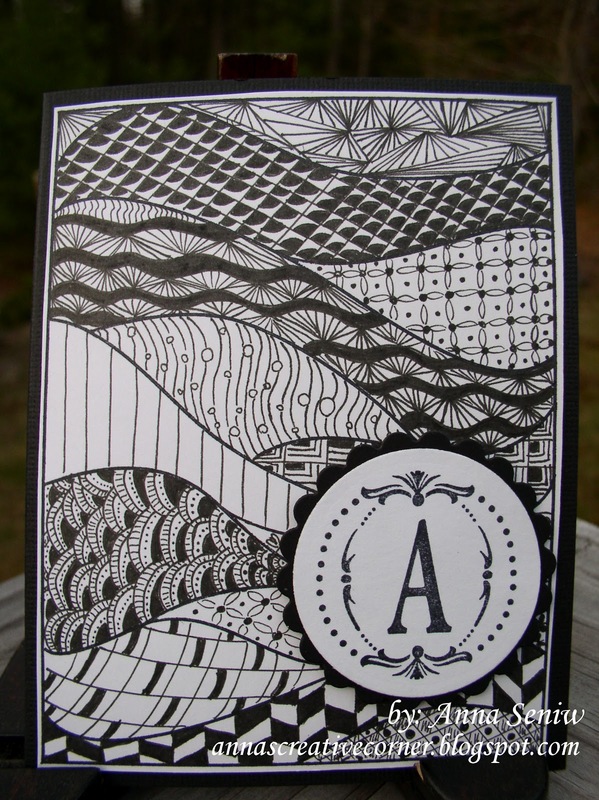 You just need a few micron black pens, pre-stamped card stock with any open design and you are ready to go! You can now look at your stamps in a totally different way! Hope this helped spark your imagination! Thanks Ronnie! Isn't tangling addicting? 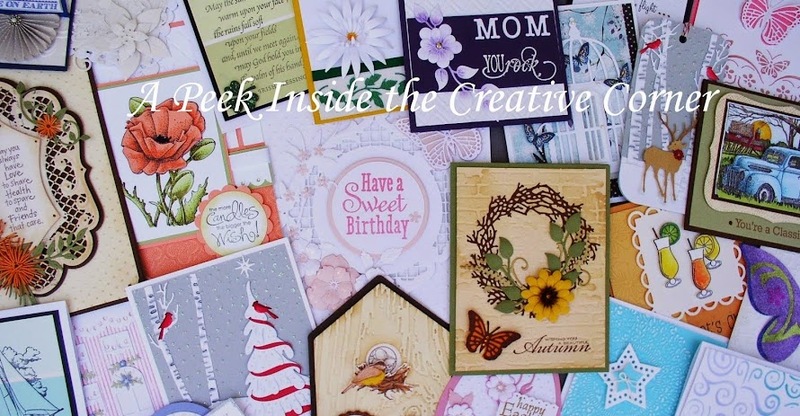 I'm working on more designs using Outlines flower stamps. I'm hoping to complete them shortly and post them this week.